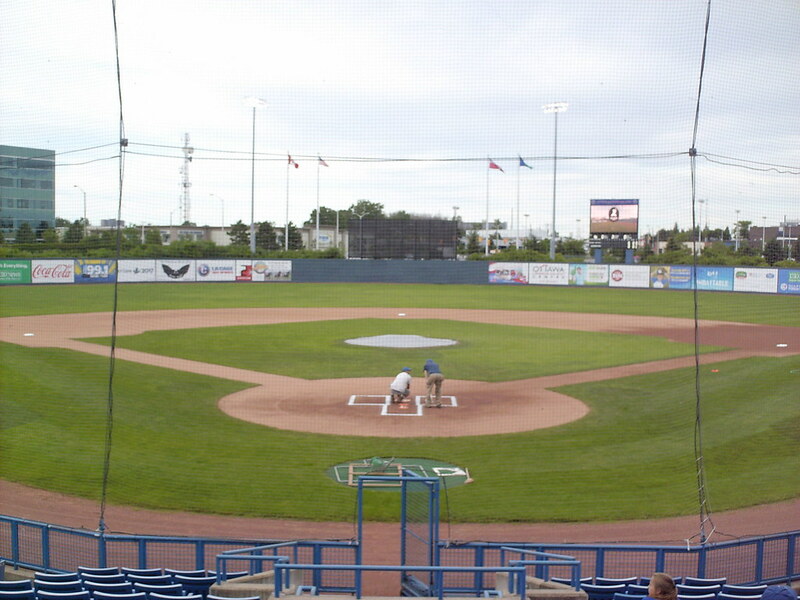 The view from behind home plate at RCGT Park. 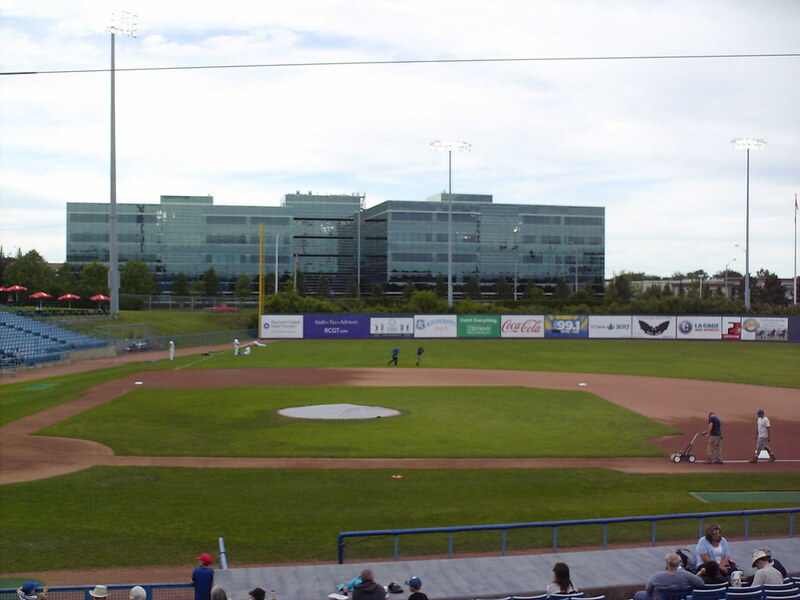 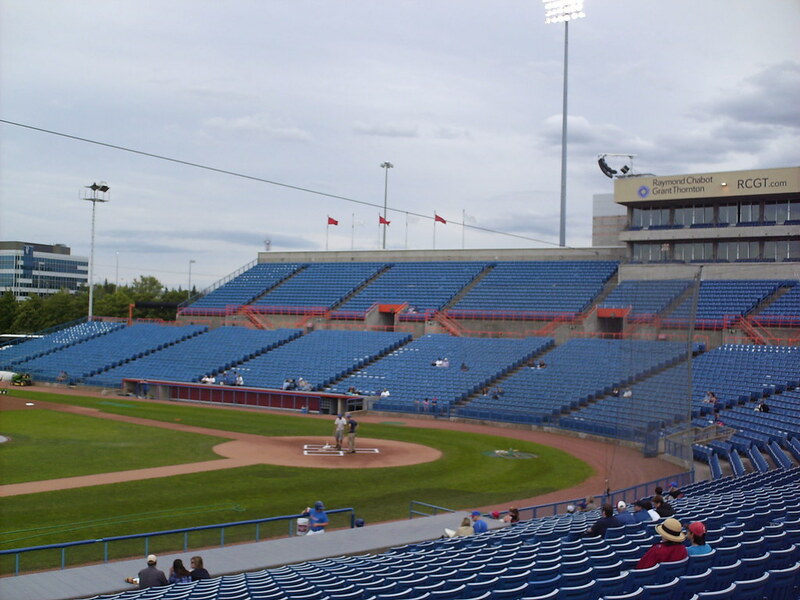 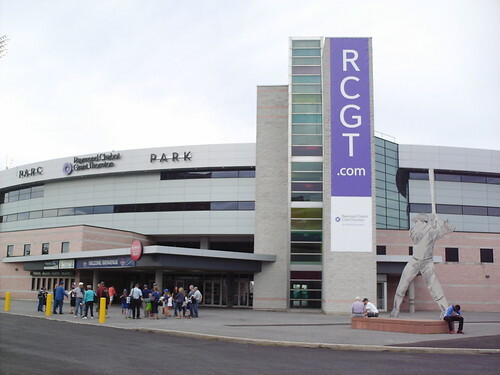 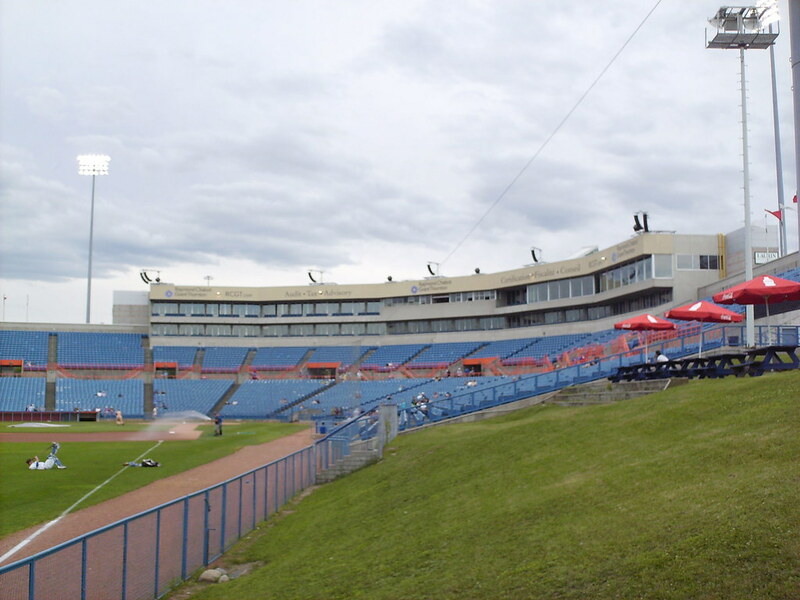 The grandstand at RCGT Park, as seen from the left field corner. 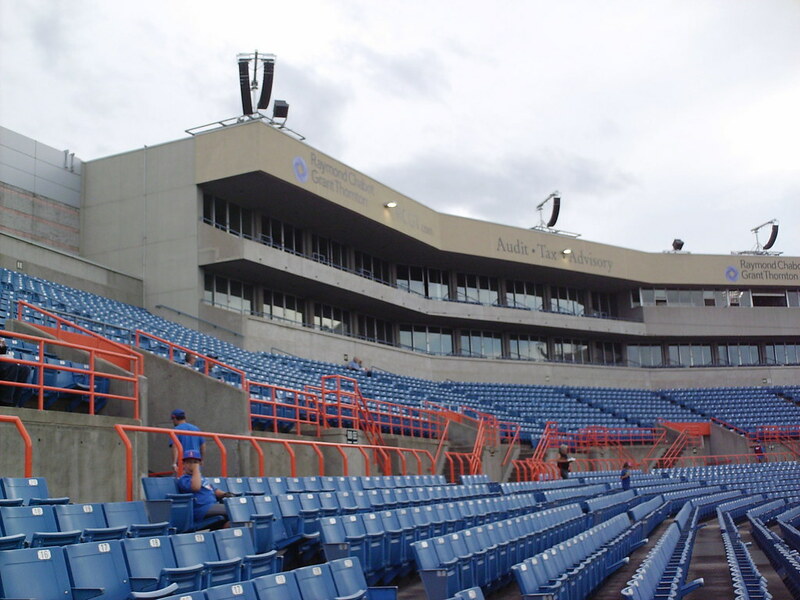 The grandstand features large metal rails for standing room fans along the seating bowl concourse. 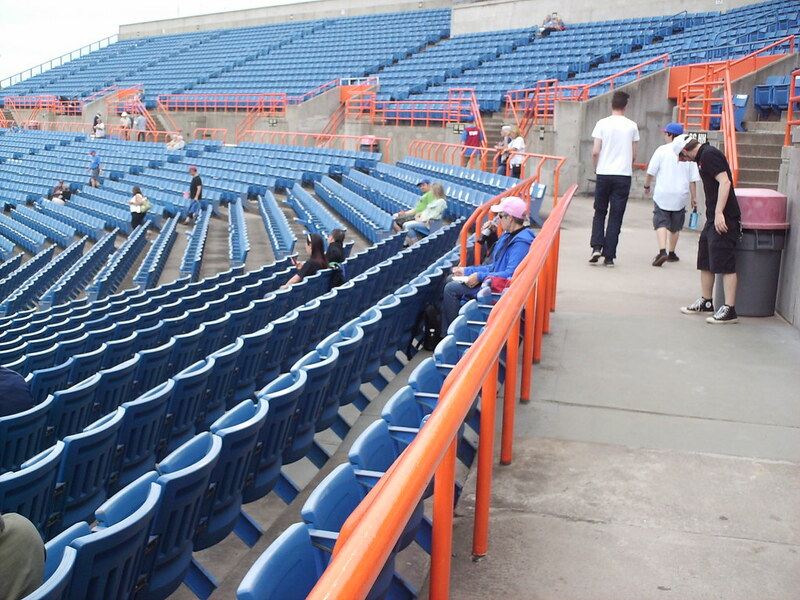 A large "bleacher" section of seating sits at either end of the grandstand above the main seating bowl. 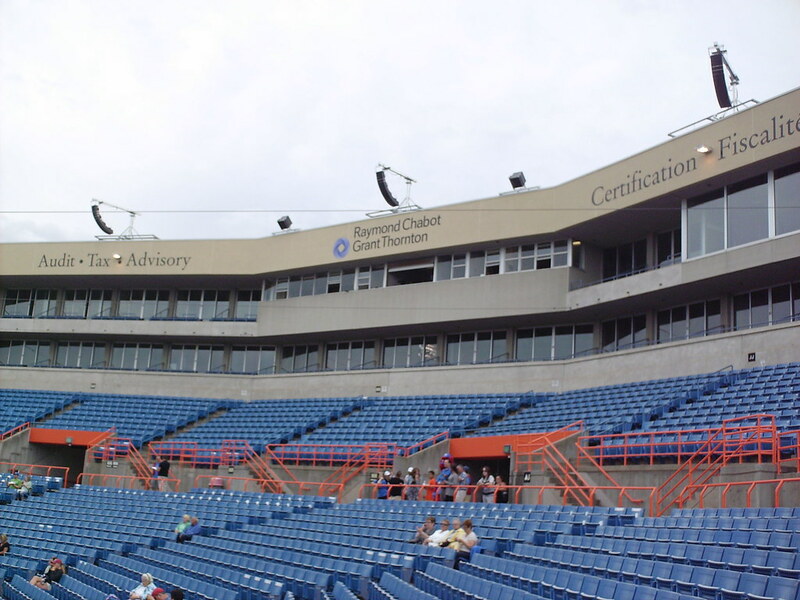 Luxury suites are stacked two high on the third base side of the ballpark. 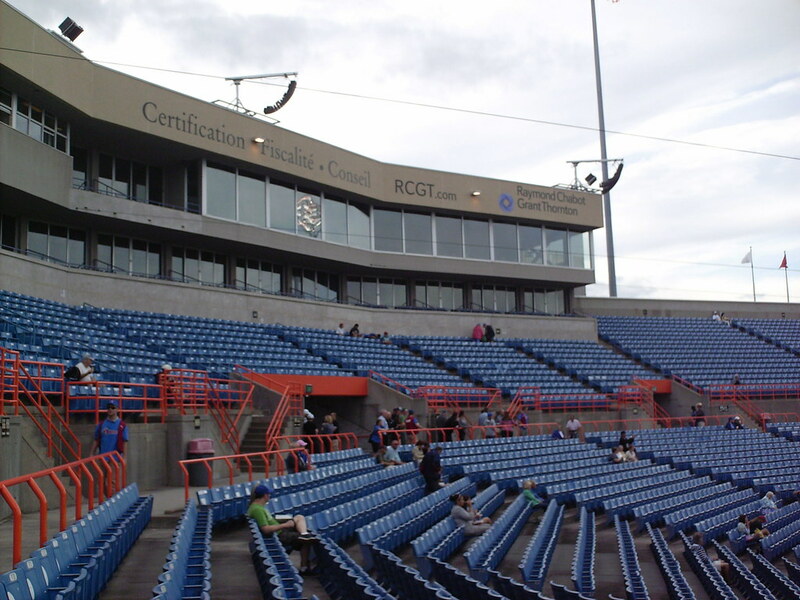 The top floor of the pressbox building on the first base side features a glass enclosed conference and function room above the luxury boxes. 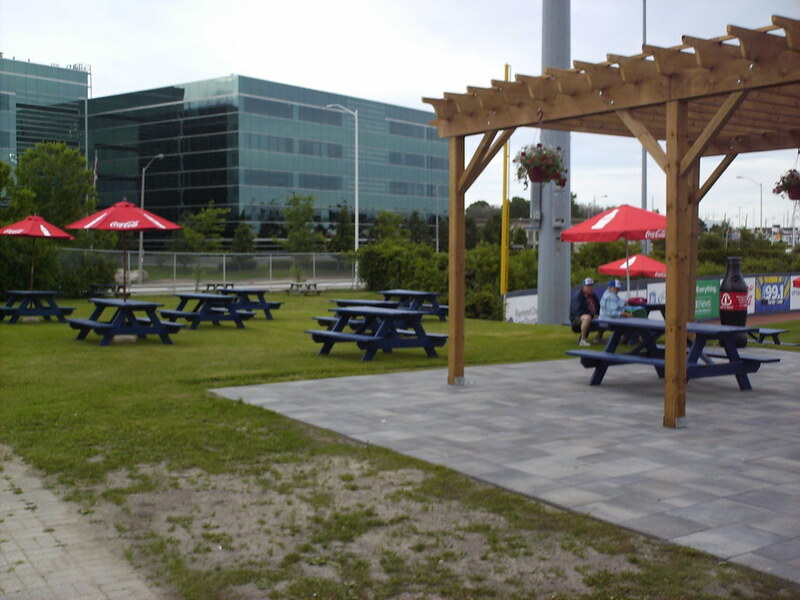 A picnic area and berm seating in the left field corner at RCGT Park. 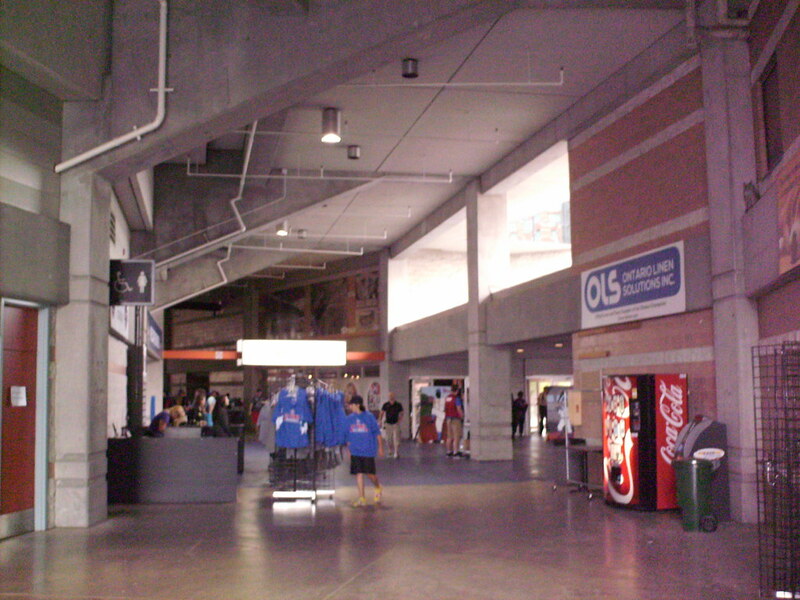 The concourse runs underneath the seating bowl. 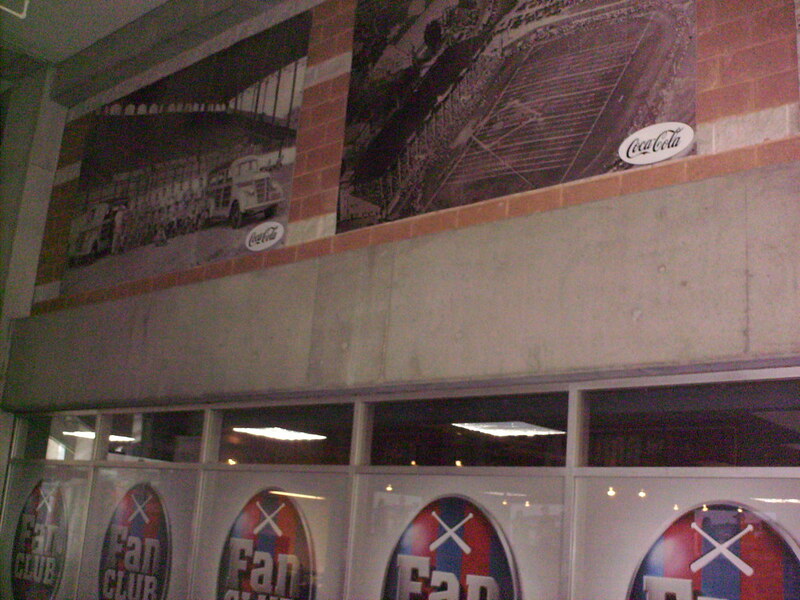 A club area on the concourse features murals depicting the history of baseball in Canada's capital city. 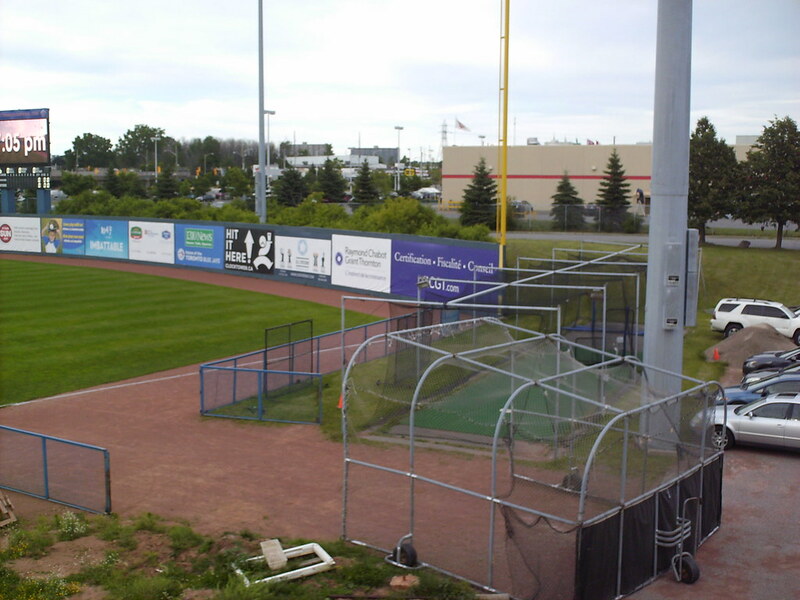 Batting cages are located beyond the field of play in the right field corner. 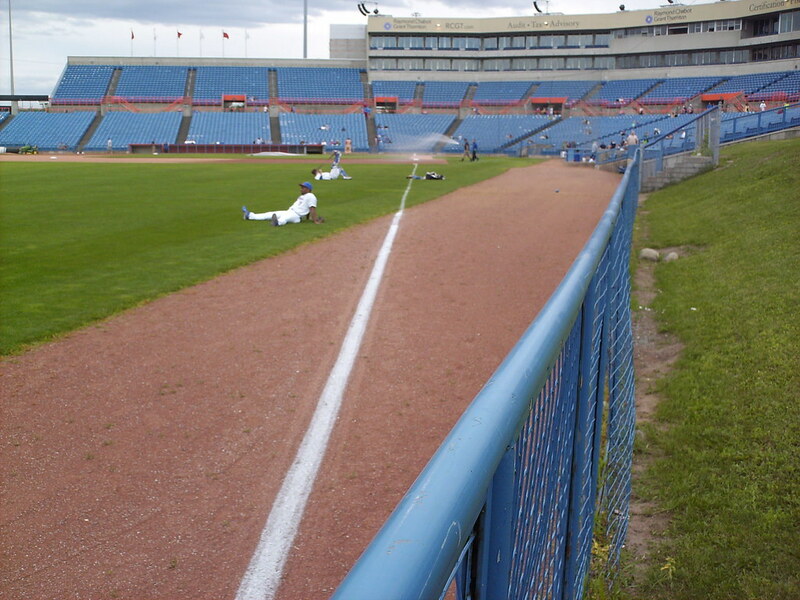 The bullpens are located in foul territory, which tapers off to nothing as it reaches the outfield corners. 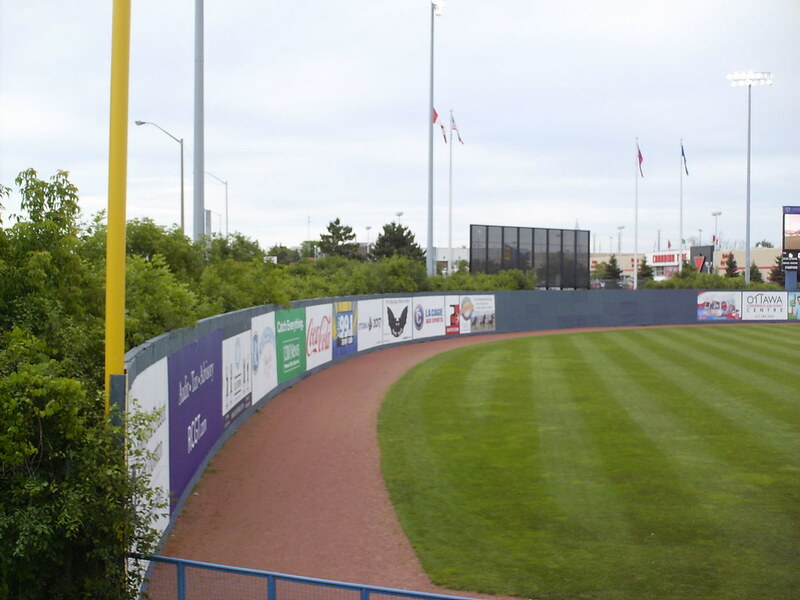 The outfield wall is a fairly uniform curve as it wraps around the field of play. 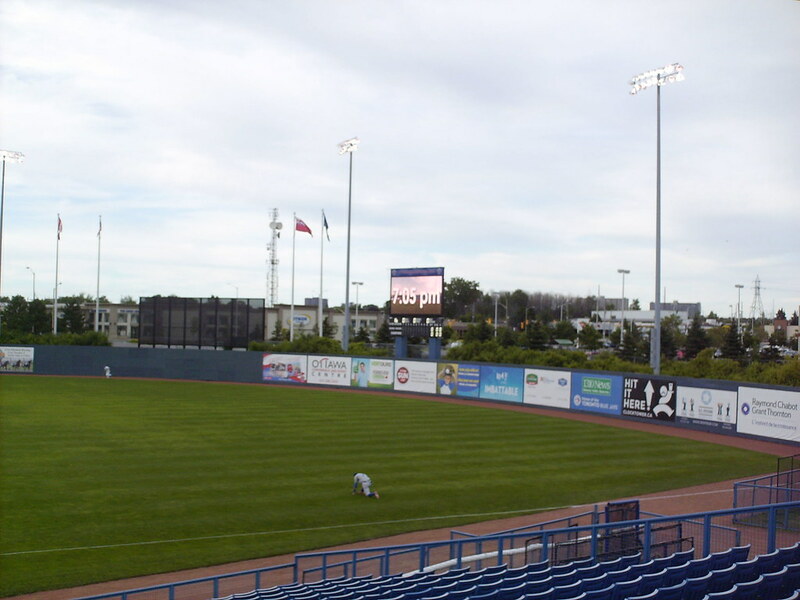 The scoreboard, behind the right center field fence. 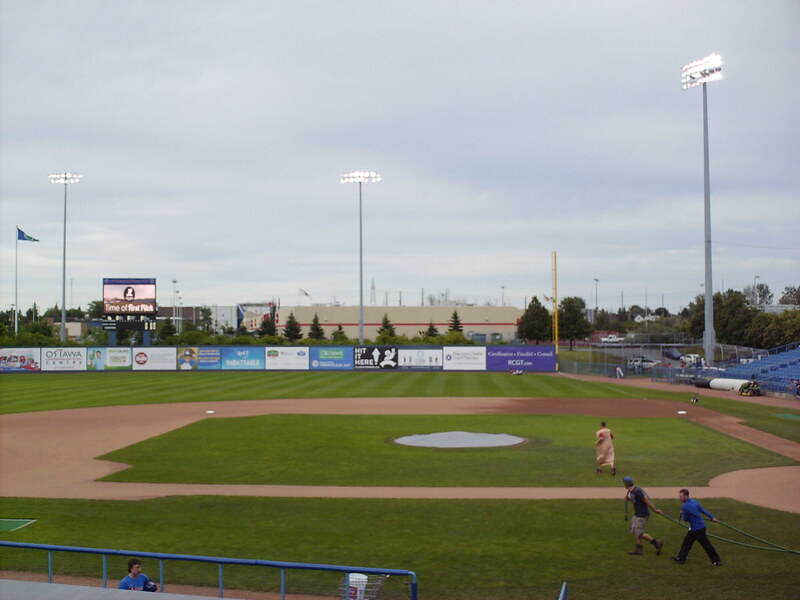 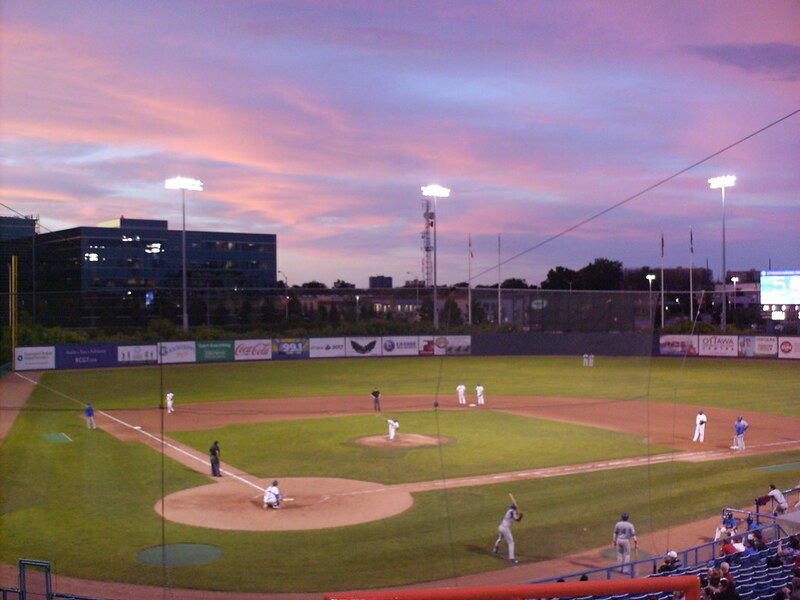 The Ottawa Champions on the field at sunset during a game at Raymond Chabot Grant Thornton Park.